It was about time for a beach vacation! Had been almost two years since our last beach vacation, so we thought of picking a destination in the Caribbean. After doing a bit of research on the Caribbean islands, we narrowed down to Dominican Republic and Puerto Rico. We ended up picking Puerto Rico because Dominican vacation meant we would've been mostly confined to the hotels/resorts where as Puerto Rico had more activities and places to offer. Day 0: Arrive in San Juan. Day 6: Old San Juan. Fly out. 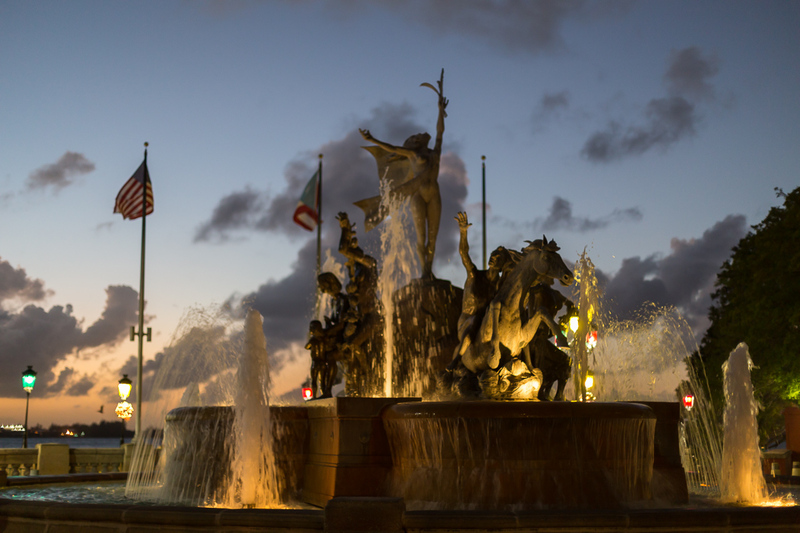 SJU: San Juan Martinez International airport is well connected with many cities within the US, especially the ones on the east coast. We booked ours with American Airlines with a stop over at Charlotte. The airplanes are so darn old, with such less legroom and no entertainment units. Thankfully I slept through the entire flight. Initially we were looking at accommodations close to Isla Verde beach as we wanted to spend most of our time here, but we figured that we were already late looking for hotels and airbnbs even in mid-November. Most of the places were already booked. So, we moved to Ashford Avenue and finally found an 1bhk apartment in the heart of Ashford Avenue. I couldn't have asked for a better location. We had private balcony with a partial ocean view, walking distance from the Condado beach, next to 24 hour Walgreens and restaurants open till 3 am or so. I loved this street! It had some good restaurants and was always always lively. Would be a bad choice for a light sleeper though, but wasn't an issue for us at all. For some reason, we never considered staying in Old San Juan! I guess we were looking for parking options too as we had rented a car and driving and parking in Old San Juan would've been a nightmare. Our first vacation day was here and I was all excited to explore San Juan. We had not planned much for this. And after catching up on our sleep, we headed out only around noon. First stop was Ben n Jerry Cafe. We tried Vegetarian pizza and burger and I loved the pizza, but hated the burger! And their lemonade was out of the world, just fyi! Good place to try. 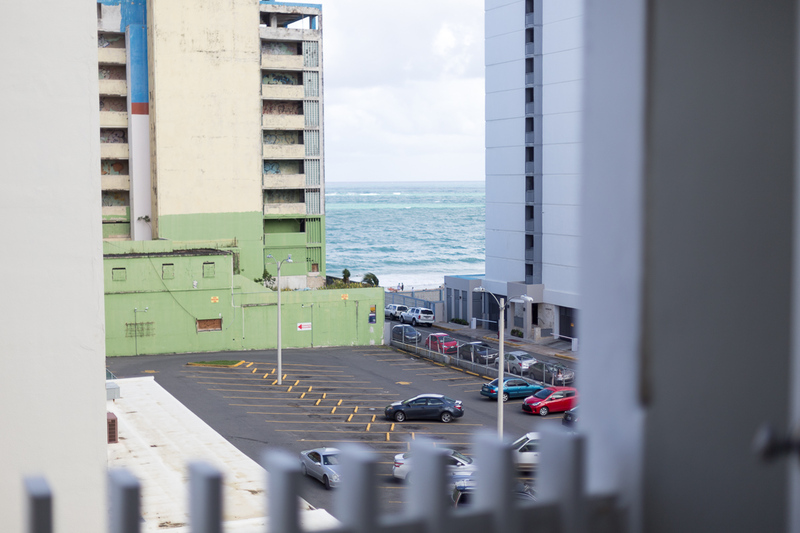 After we got some fuel in, we just spent some time admiring the Condado beach, right behind the cafe. Then we headed out on the Ashford Avenue to pick our car rental. 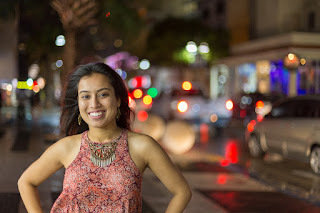 Once we got our car, we drove to Old San Jaun and parked in the Dona Fela Parking. Now, we visited a few spots here. There isn't anything mind vlowing or out of the world here. But, I just loved the cozy feel of bright multi colored houses, on wither side of narrow inclined cobbled streets. Lot of tourists and everyone walking around. It was a good way to spend just half a day and trust me, you will get a lot of good photo ops! Here is our approximate walking map. 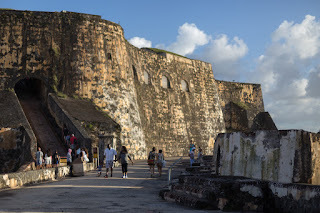 We mostly walked up to the old fort(Castillo San Felipe del Morro), the San Juan Bautista, La Terraza, Paseo de la Princesa. Meanwhile, we took a break at Choco Bar for some snacks and then ate dinner at Istanbul Turkish restaurant. Chocolate lovers may want to go to Choco bar, I didn't find it all that unique though. Istanbul Turkish restaurant was good though. Since it was Christmas eve, we had a very few options to choose from as many places were already closed. Walking around PR 1 will also give you scenic views. After dinner, we just wandered around the streets and then shopped at a few local shops for souvenirs, snorkeling shoes, beachwear etc. Was a very relaxed day and I really did enjoy hanging out in the Old San Juan neighborhood. 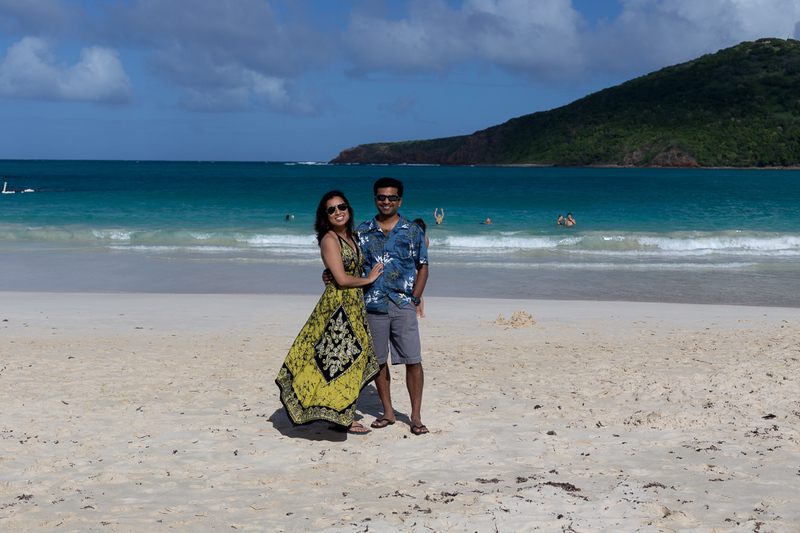 It was December 25th and we had saved it for our day trip to Culebra. This was one of the most fun days! There are two ways to get to Culebra which lies on the west of the main island. One is by ferry, which is like 5-10 bucks per person, takes about an hour and a half one way. Here is a ferry schedule I found. Now, this being the peak touristy season, and we being super late in our bookings, ran in to trouble while trying to book ferry tickets online. They were all sold out! Some of our friends told us that you do end up getting tickets on the day of, but we didn't want to take a chance, so we booked air tickets(the other way to get to Culebra), which are usually 50$ one way, but being the holiday season were ~75$ each way. There are many local airlines that fly between islands. Here is a list I found. 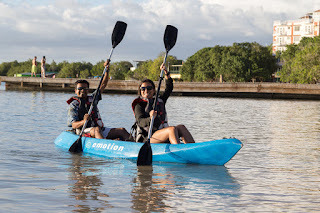 Another thing to remember is that, you have the option of booking these tickets from a number of airports, San Juan International airport, Cieba and Isla Grande airport. We were lucky to find tickets from Isla Grande airport which is five minutes away from the downtown. find the gates closed! Apparently, the airport opened at 6 am! So, we waited for a few minutes and then someone walked up to the gate and opened it for us. We drove and parked in the open area outside the small building for some 10$ a day. There is not hurry to get here 90 minutes before your scheduled departure. No one cared to check us in till about 30-40 minutes before the flight. So, we could've very well caught up on sleep. Anyway, it was a ten seater plane and they are strict about seating their passengers in a particular order because of weight balancing. It was smooth 30 minute ride though. The airport at Culebra was similar to one in Isla Grande. The car rentals were right in the airport lounge. However, the golf carts and scooters were all booked and we could only rent a jeep, which wasn't a bad option either. They gave us a map of the island a list of things to do. We got in the jeep and headed straight to some bakery, which was suggested by the lady at the car rental and was the only place open at 8 am. Just got some coffee and packed chips as I wasn't too impressed with flies all around. Then we headed straight to Flamenco beach. We were here by 9 am and had the beach almost to ourselves. Found a nice shaded spot. This was my favorite beach in the entire trip! White sand, turquoise water and pleasant breeze. The sea was a little rough though. But not bad at all. We spent about an hour or two here. Initially I had planned to camp here, which I think was easily do-able, but then, just didn't fit our plan, so we skipped it. There were some shacks at the beach where we ate some fries and burger. Our next stop was Tamarindo beach. There is no paved way to get here. It a dirt road, so you better ask your way around. A perfect place to snorkel. This was a pebble beach. So water was clear and our snorkel booties came in handy. We hung around this place for about an hour. I just absolutely loved snorkeling here. I didn't go in the deep as I am scared of deep water, but there were people who were swimming a little farther away and spotting turtles and such. We spotted some translucent fish, some multi colored striped ones and I spotted a baby fish which had a long nose, I have no idea what is it called! Plus some corals too. There were some day tours leaving from this place, but didn't fit our schedule as we had to head back by 3:30 pm flight. Weather was pleasant and it even started drizzling. It was just a perfect day! Then we headed to the town, got some really pizza for lunch and drove around the island for whatever time we had left. We were suggested to go to Zoni beach as well, but we just didn't fit it in our schedule. This is our route. We didn't go to Zoni beach, but I just added it to the map, for reference. We got on to our 3:30 pm flight back to San Juan. We grabbed some sushi at the Tayzan Sushi, close to our apartment before going home and taking rest. Once we got home, we took rest and then met our friends in Old San Juan who had flown in that day and were going to keep us company for the next few days. We had dinner at this Spanish place, Triana with Flamenco dancing. We didn't get to see any dancing, because we were sitting upstairs, but the food was cold and service was bad. So, this place wasn't really fun, but all in all it was a great day given Culebra was magnificent. For late night snack, I had nutella crepe at Crepe Maker and others had Praline gelato at Le Macaron. Crepes were average and gelato was average too. We were scheduled for a Sea Trek at 10 30 am in the morning. But, we got a call around 9 30 am that it was high tide and we need to move it later in the afternoon. So, we settled fro 3:30 pm, but this meant our plan for going to Camuy Caves after Sea Trek wouldn't work out. So, we headed out to Isla Verde beach instead. But before that, we stopped at Tomate restaurant for lunch. Excellent mexican food and great service. Highly recommend it. After lunch, we headed to Isla Verde beach. Nice, calm beach with a great view of the city and lovely warm water. We headed out to Caribe Hilton for our Sea Trek tour at 3 30 pm. We had booked our tour with Aqua Adventures. I was initially very scared, but this was so simple and easy. We took some great videos with go pro. The entire activity took almost an hour. One thing we discovered was that this bay at Caribe Hilton was a good place to swim and snorkel even on your own and it was open for public. So, if you want to snorkel and head out in calm waters close to Old San Juan, this would be a good choice! In the evening, we chose to dine at Budatai as recommended but our host. Excellent place. Fusion asian restaurant and they had great vegetarian options too. We made reservations as most of the popular places have a long wait time. 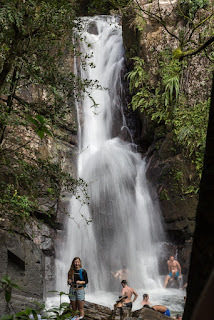 Our plan for the day was to go to El Yunque rain forest and Luquillo beach. We planned on having a sumptuous breakfast to begin the day (benefits of a kitchen!) But, in the process, we got pretty late, to my utter dislike, because this just meant we would have to do only one hike instead of the planned two. 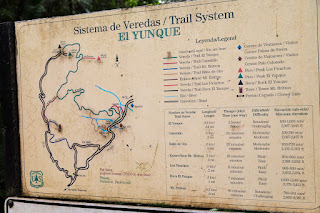 One thing to keep in mind is to go to the Palo Colorado Visitor Centre and not any other information center as the trail heads for the two most popular hikes (La Mina trail and the El Yunque trail) are here. Here is the exact location on the map. 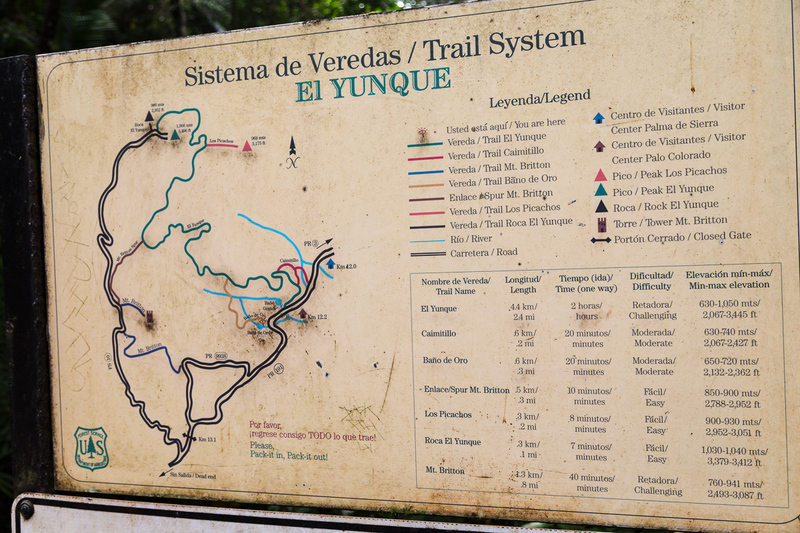 The El Yunque trail leads you to the peak with some great views, but we had to ditch because of less time. But we did the La Mina hike to the La Mina waterfalls which was a lot of fun. Completely shaded and pretty easy hike I'd say. Involves some steps, but totally do-able! Waterfall was good, and don't forget to take your swimwear if you want to take dip. It was just utterly crowded and we din't stop here for long. We headed back to the trail head and our parked car. I suggest getting here early and starting your hike early on before the crowds get here. Useful Maps. Plan was to hang out at the Luquillo beach after the hike. We had the option of eating lunch at the shacks at the beach, but didn't feel they maintained good hygiene, so headed out to a nearby subway. Luquillo is one of the better beaches around. Not very crowded. Calm and warm waters. very neat and clean shower and locker rooms at the beach. We spent an hour or so here. I guess this beach offers some activities like jet skiing and parasailing too. Once we got home, we headed out for dinner to Alibaba Mediterranean restaurant. Good food. Lavash was very fresh and delicious. For dessert, it was Gelato and Co right outside Marriot. They were out of chocolate gelato, but had a good hazelnut chocolate (Bachio or something). If you like gelato, this is the place for it. This day was set aside for Boqueron and beach activities. We drove for about a couple of hours to Boqueron beach. A nice quiet beach, very less crowded and pretty clean. But we couldn't find any restaurants for change of clothes. But, we managed. We first rented a jet ski. It wasn't our first time, but it is always fun! Then, after lunch at Subway, we headed out for kayaking at the beach. There are two little shacks at the beach itself for rentals. After kayaking, we tried our hand at paddle boarding for about 5-10 minutes. It is talent to balance yourself on that thing. I mean, you gotta try and see it for yourself. Then we spent time at the beach watching the sunset and it was beautiful. A lot of sail ships at the beach so, it makes for a good photo op for anyone who is looking for a good sunset picture. For dinner we tried Italian food at Di Parma Trattoria. Ravioli and pizza were excellent. I have to give it to Puerto Rico for really really good food. We could have either left really really early and gone to Camuy caves. But we ditched it for a few extra hours of sleep. This has been indeed the laziest vacation for us. So, we decided to spend rest of our day before our flight in Old town. Loved walking around in the colorful streets one last time. Taking pictures. The museum had high ratings, but was closed until early January. So, we had to skip it. We then bought some souvenirs and cigars! After one final meal, we headed out to the airport for flying out. It was a fun trip and we had a really good time. Thank you Puerto Rico. Bio luminescence bay: Three places to do it in order of brightness and popularity: Vieques, Fajardo and La Parguera. We didn't do it because it was full moon night and the tour operators told us that the visibility will be close to zero. Do the triangle: A lot of people go to Vieques by ferry for bio luminescence tour at night. Then go to Culebra in the morning and spend the day there and then fly/ferry back to San Juan. Camuy Caves: You need to leave early as they take tours on first come first served basis and the tours are for about ~2 hours. You could end the day with a sunset near Rincon where you could also watch surfers. Camping at Flamenco beach: If you are up for it, here is a website that'll be helpful. 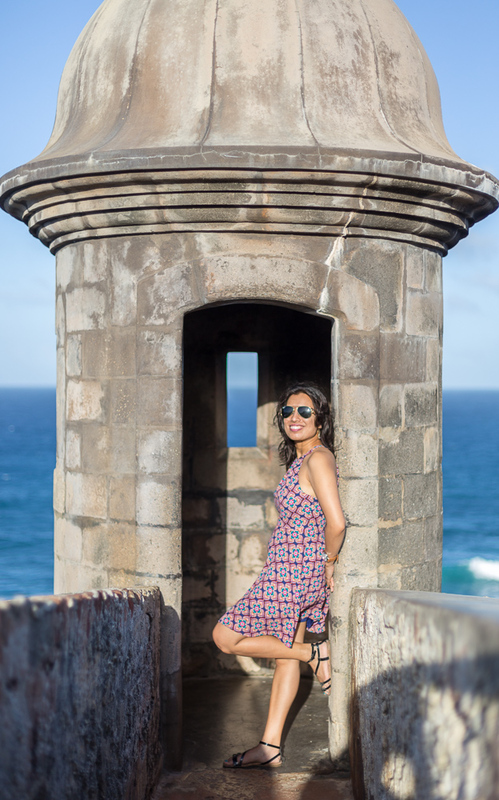 Old San Juan itinerary: I collapsed most of it in to one day. Plus, don't forget to take pictures of the fort in the evening. We missed it, but it will be well worth the trip, I am sure. Pina Colada was invented here in Puerto Rico, so do try one! Boqueron: You could do jet ski tours or head out of mangroves in La Parguera. We just weren't too enthusiastic about it, but they have good reviews online. Make reservations well in advance especially if you are heading to PR in holiday season. We had a tough time looking for accommodation and making reservation for Culebra. Thnakfully we had reserved our car well in advance. 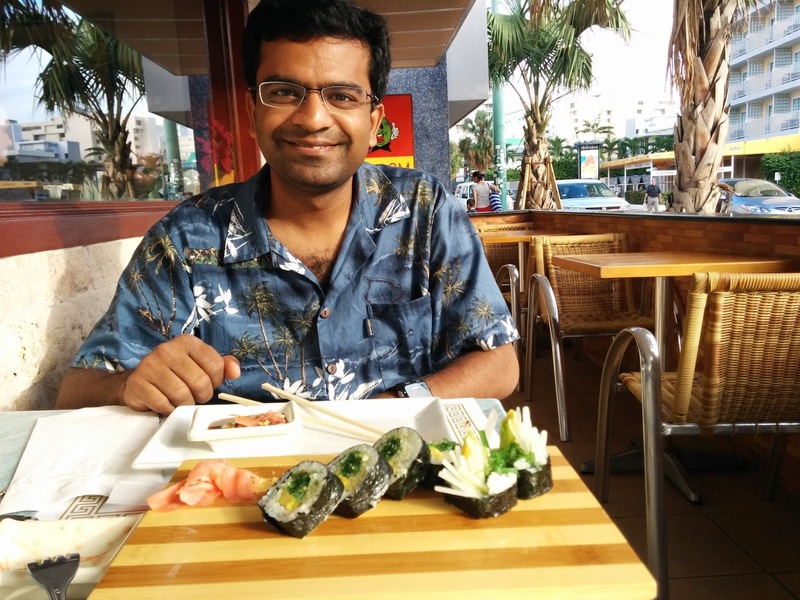 Eat at a different restaurant each time. Some really good places to eat, you may need to make reservations. We missed eating at Verde Mesa and Pani Agua because we didn't make any and these places had really good ratings and good vegetarian options. We used Google Maps. The names of the roads and exists are all messed up. So, you need someone to navigate and tell the driver to take next left or next right else you won't be able to use maps. For local airlines, don't forget to print your boarding passes. We had to walk in to Marriott and pretend to be their guests and ask them to print our boarding passes.